Should be arriving soon whats the temp round there? 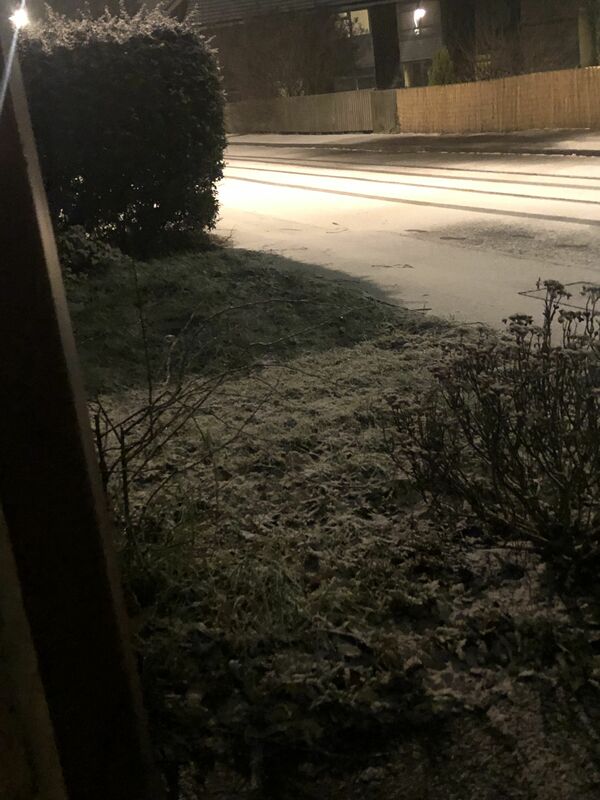 Nice little dusting here now was quite surprised all roads pavements covered. Nice icy morning now tomorrow. Anyone had rain/sleet turning to settling snow? Just started here and sleety mix so far. Hoping evaporate cooling kicks in though not particularly hopeful! It started off as light rain here at 100m ASL then turned to sleet then snow in the heavier stuff. Mostly wet snow that didn't settle but the last batch did give the roads a dusting Clearing now. It was raining here firstly then started to turn to sleet then eventually snow with the first batch,then the second batch came through and was much heavier and all snow,it was quiet a whiteout for 5-10 mins. 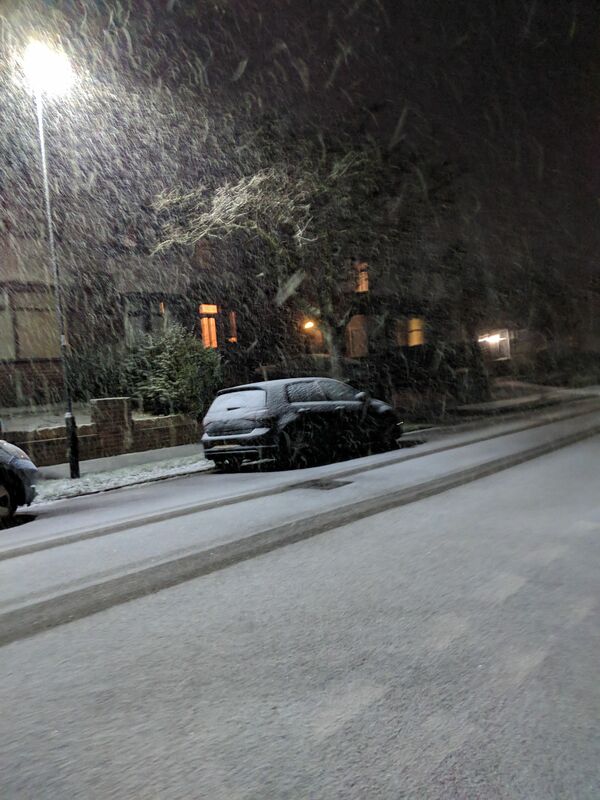 Had a nice period of heavy snow here as I arrived home at 5ish and it's been snowing on and off, we have a light covering. I'm so happy to have moved up the hill a bit, seem to pretty much always be above the snow line. Darren Bett is a massive Mildy... Would need to be the equivalent of 1947 for him to forecast a snow shower! 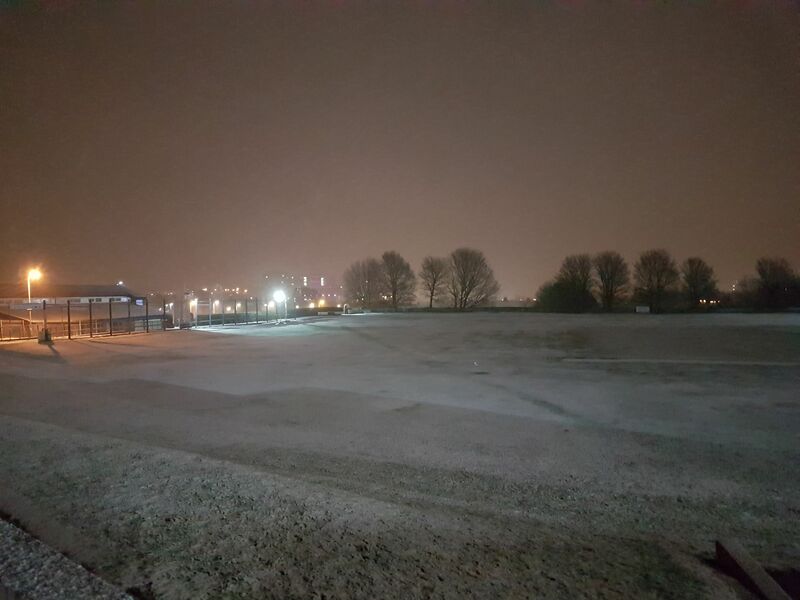 Not bad tonight with 1-2cm covering in Barnsley! I’m liking the look of the latest radar images. New area of precipitation now moving up from the South, and potentially turning to snow the further North it moves! 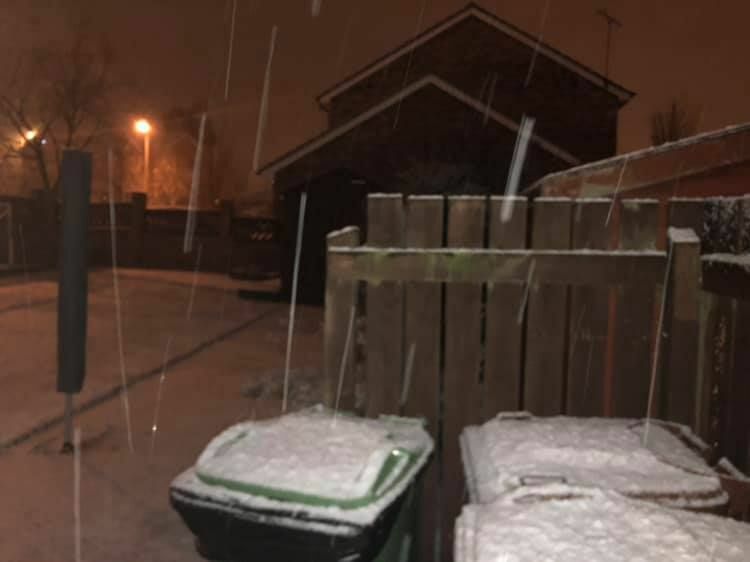 Well didnt expect anything tonight so pleasantly surprised by a cm of slushy stuff, snowed for a good few hours but was just to wet to really accumulate. A different story in the nearby Wolds above 150m where there is a good few cm and solid snow cover. Very unexpected area of ppn moving north-north east. Temperatures are going down so this could be less marginal! Some flakes mixed in here in but not sure if anything will settle. Yes that cought me out,was thinking that was it tonight altough ppn dying out as it reaches here,what's with all that ppn over west Wales,was that forecasted?